Scrub the oysters under cold water with a stiff brush to remove the dirt. Next, find a durable thick cloth to use as a mitt, place the oyster, cup-side down in the palm of your towel-covered hand with the hinge facing you; have a small bowl handy to catch the delicious juice. Insert the tip of an oyster knife or dull butter knife as far into the hinge as it will go; don't jab it in there or you could break the shell. With gentle force, twist the knife back and forth to pry the shell open. Using the knife, cut the muscle away from the top shell and discard it. Run the knife underneath the oyster to detach it completely, but leave it in its shell. Tip out the briny liquor into the bowl and pour it back over the shucked oysters. Nestle the oysters in a bed of crushed ice or rock salt to keep them steady. And don’t forget the Louisiana hot sauce and lemon wedges! 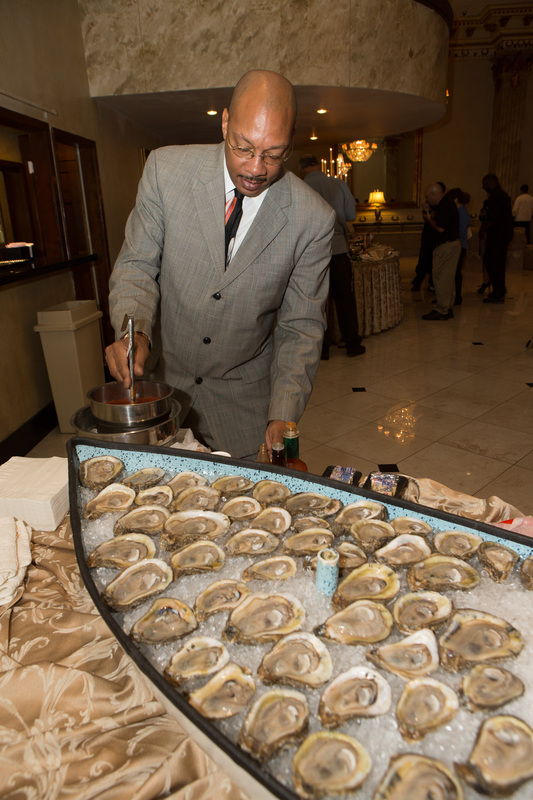 Smitty's Seafood & Oyster Bar is featured on the Louisiana Oyster Trail.